We have put together a list of the best gaming chairs that you can buy in 2018 for computer gaming under $100 & $200 dollars. 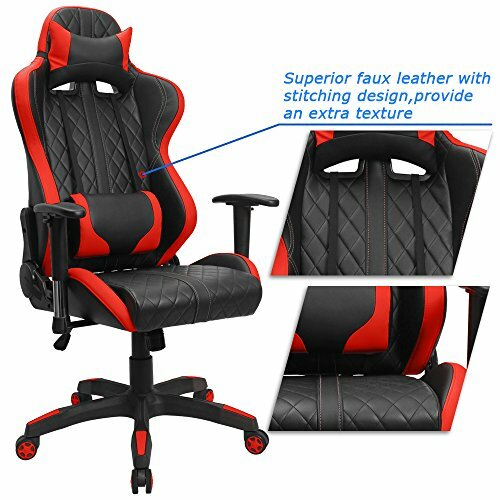 We’ll be focusing on these gaming chairs: Furmax Gaming Chair Vs Essentials Leather Gaming Chair Vs Flash Furniture High Back Chair Vs Top Game Ergonomic Gaming Chair Vs Merax Racing Computer Gaming Chair. Gaming isn’t just about the mechanical keyboards, noise canceling mics, and multi-button mouses, in my opinion, your comfort should be way ahead of everything else I just listed in terms of importance. Here are our picks for the top gaming chairs for PC. When you look at the Furmax Gaming Chair, one of the things that you will notice right away is its ergonomic design that features a PU leather that is soft and enough padding giving you additional level of comfort. For its price, you have a gaming chair that is durable since it is made of quality materials like wood veneer and solid wood. What you will like about Furmax Gaming Chair is that it has that 360 degree swivel capacity that allows you to move and its pneumatic gas lift feature enables you to adjust the seat height depending on your preference. With its tilt mechanism, it gives you extra stability. A gaming chair that gives you that vibe as if you are really on a racing car the Essential Racing Style Leather Gaming Chair is one of the best choices under $100. It has a great design but it also offers comfort and ease of use. Even if you are playing for long hours, you never have to worry with its padded arms, padded headrest and segmented padding that is contoured. It is adjustable depending on your preference. Other features include seat back recline, 360 degrees swivel capacity and flip arms. 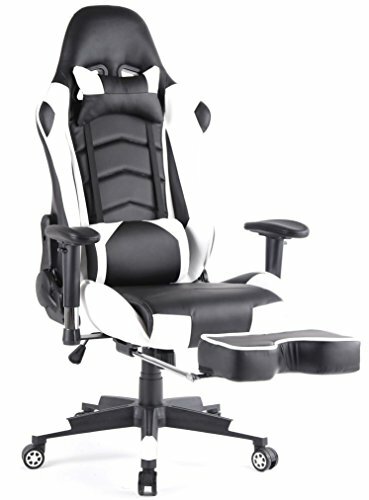 With the combined style and comfort, you have a nice gaming chair that you can use even when playing for long hours. Last to make it to our list is from Flash Furniture. This chair features a contemporary design giving you additional level of comfort when you play your favorite computer game. It has coil spring cushioning which makes it comfortable even when you are sitting for long hours. The chair has a high back design to relieve any tension in your lower back. For easy rocking and reclining motion it has a nice tilt lock mechanism. Taking a quick break is easy with its free rein motion. 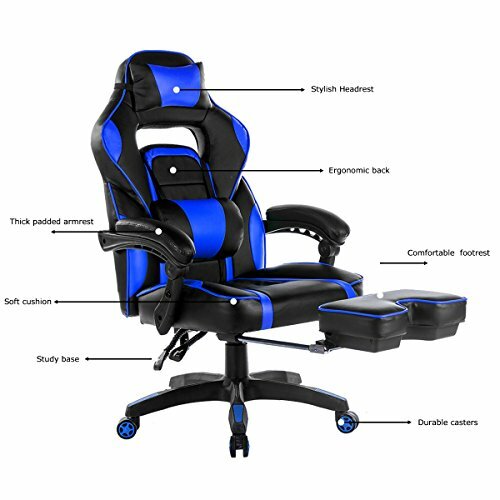 If you are willing to spend on a high quality gaming chair that is really designed for long hours of gaming, there is the Top Game Ergonomic Chair. With this chair you can adjust the seat height for the right ergonomic posture. It uses high densed foam to give you comfort padding making it a comfortable chair. Unlike the other gaming chairs it has an open-cell breathing system that body heat won’t get trapped. Other features include adjustment neck rest and lumbar support, backrest and footrest and armrest. With its universal castor wheels, easy moving is easy without comprising stability. A gaming chair that gives you that nice racing car style, the Merax Racing Computer Gaming Chair is one of the top favorites among avid games. It is specifically designed to give you that high-performance and comfortable seat. With its reclining mechanism, you have a computer chair that allows you to have 90 to 180 degree forward and backward movement. Depending on your preference, you can adjust the gas spring cylinder. For additional support and extra comfort, it comes with a head rest pillow that is removable and a lumbar cushion that is contoured to make you seat comfortably even for long hours. 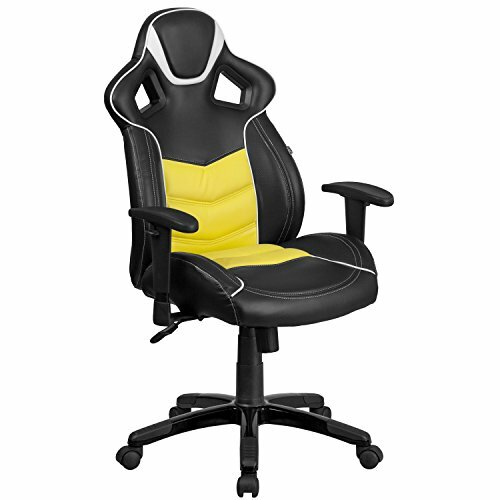 Another good option if you are looking for a more luxurious design is the Furmax High Back Gaming Chair. This gives you that luxury racing style experience that is designed to give you added comfort. You can adjust the seat height based on your preferences. And with its castor wheels, you can move easily. By choosing the Furmax High Back Gaming Chair, you have a comfortable and durable chair that features 180 degree backrest adjustment to avoid any back pain or discomfort. Apart from having the necessary gaming equipment, it is important for avid gamers to play comfortably. 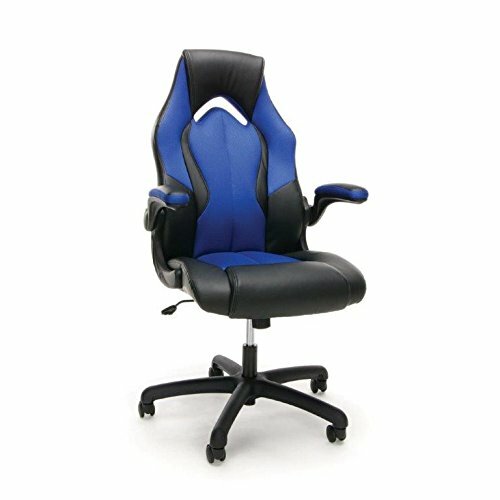 Playing any computer game can take long hours and when you are sitting there that long, you need a gaming chair for you to enjoy the game without having to worry about back pain or tired legs. In that way, you can focus on playing the game. 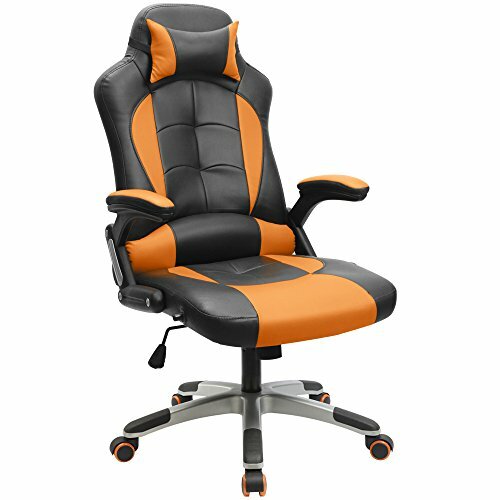 Computer gaming chairs vary in prices and features. If you don’t want to spend that much, there are options under $100. But if you want more specs and you are willing to splurge, there are gaming chairs that cost under $200.